Go Metro and get a lollipop with a product purchase of $10 or more! Conveniently located in the heart of Civic Center Downtown, this convenient store has everything you need - from money orders, lotto tickets, ATM machine, drinks, snacks and much more. 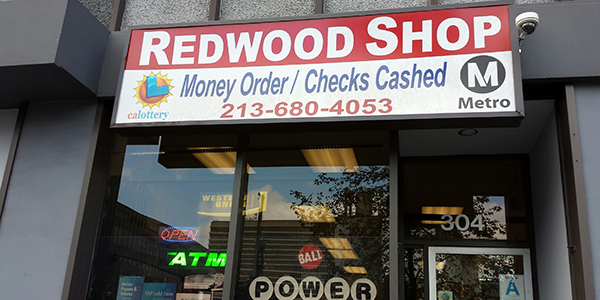 Redwood Shop is located at 304 W. 2nd Street, a few blocks away from the Metro Red/Purple Line (Civic Center Station). For your best route, use the Trip Planner.